What is the difference between selfishness and depression? Immoral behavior and same-gender attraction? According to psychologist Wendy Ulrich, the difference is that the former are sins, while the latter are merely weaknesses. In Weakness Is Not Sin: The Liberating Distinction That Awakens Our Strengths, Dr. Wendy Ulrich poses the question: How often do we respond to weaknesses with impatience and guilt, mistaking human fallibility for sin? Ulrich explains that human weaknesses can either lead to sin, or to greater strength through the grace of God — but weakness itself is a morally neutral concept, separate and distinct from sin. Ulrich cautions that while many become despondent at the prospect of eliminating weaknesses, weakness is really just a part of the human condition. As we distinguish between weakness and sin, we can begin to use our weaknesses for good. Without recognizing this distinction, however, we can experience excessive shame and “miss out on much of the healing and peace God longs to give us,” Ulrich writes. With keen doctrinal and professional insights, Ulrich helps us understand that sin and weakness have different origins, lead to different consequences, and call for different responses. Understanding the liberating distinction between weaknesses and sin sets us free to feel worthy and find true joy in our redemption. As we understand this important principle, we can learn to focus on strengths, and not despair over that which we cannot change. Wendy Ulrich, Ph.D., M.B.A., has been a psychologist in private practice, president of the Association of Mormon Counselors and Psychotherapists, and a visiting professor at Brigham Young University-Provo. She founded Sixteen Stones Center for Growth, which offers seminar-retreats for Latter-day Saint women and their loved ones (see sixteenstones.net). Her books include Let God Love You; Weakness Is Not Sin; Habits of Happiness; The Temple Experience; Forgiving Ourselves; and national best-seller The Why of Work, coauthored with her husband, Dave Ulrich. I gained many Ah-ha's and insights from reading this awesome book. Instead of feeling discouraged and fed up with my weaknesses, this book helped me see them in a new light and feel grateful for them. Was so helpful in helping me go more to the Lord, rather than just be frustrated and discouraged which takes me away. This book goes on my top five list of books that have had the greatest impact on me. I heartily recommend it. I was unsure about this book when I heard the title, but was very impressed once I got started. The topic is presented in a useful way. I was able to compare the ideas to experiences in my life and when I finished the book I felt more aware of who I am and how my choices affect my life. A wellspring of hope that refreshes the soul and revitalizes the will to try. Dr. Ulrich does a superb job of differentiating between human weakness inherent in the mortal condition and sin. The reader is left with a renewed zeal for life and a profound appreciation for the role of the Savior in God’s plan. A truly inspiring work of literature. Well done, Wendy. I was lucky enough to have a good friend tell me about Wendy Ulrich’s book: Weakness is Not Sin. I was pleasantly surprised to find practical models for application in many of the circumstances that I have found myself when serving and assisting others in my calling as a member of the Church of Jesus Christ of Later-day Saints. Interestingly, what started out as a read on how I could assist others, actually ended up as a practical guide for myself to be more constructive in shaping my own self perception. The inspiring anecdotes are insightful and heart-warming. Love the book. I liked Dr. Ulrich's previous book, but this one was an easier read, which is helpful when one is engaged in lots of introspection. It boosted my confidence and my appreciation for the plan my Heavenly Father has for me. On a related note, I counsel many individuals and have had much success talking through this book with them. The message is so powerful for many of us that one individual only had to look at the cover to be brought to tears. 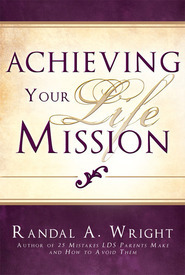 This powerfully insightful and inspiring book reframes how to think about weakness and sin. This last week end I read Dr. Wendy Ulrich’s new book, Weakness is not Sin. Reading this book was remarkable experience. I was uplifted and inspired. I gave my copy to a friend who has subsequently read the same copy and then passed it on to another person. When I return to the States in a few days, my intent is to give copies to the adult members of my family. There are several reasons for my enthusiasm. First, it provides a powerful perspective on the relationship between sin and weakness. Dr. Ulrich builds on her experience as a clinical psychologist, on her personal introspections, on the teaching of church leaders, and, most important, on the scriptures. Through this combination, she unlocks understandings about how to be more faithful in reducing sin while also placing weakness in the perspective of spiritual growth and strength as the Lord teaches in the scriptures. Fourth, the book is deeply personal. It reads as if Wendy were sitting across the room from you and you are having a profound discussion with a wise and dear friend. You trust her insights and advice because of spirit in which they are conveyed and the transparency and deeply personal honesty with which they are offered. Finally and, perhaps, most important is that Weakness is not Sin gives me additional insights into the nature of God and my relationship to Him. It provides insights about the eternal perspectives that our Father has for each of us and of the goodness, mercy and love that our Savior brings to our lives. This is a healing balm for my "self-critical" soul. THANK YOU, THANK YOU for taking the time to write this book. Its message is(as the title states) liberating. It will change how you think about yourself and the Atonement. 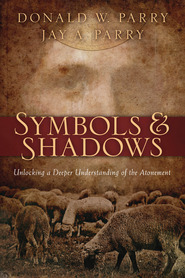 This is a book that ALL LDS members should read because you will gain a better understanding about the Atonement by learning the difference of how God sees weakness and sin. Wendy is an excellent teacher and writer. She uses both real-life and scriptural examples to teach this important doctrine.